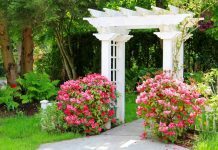 If you are someone who doesn’t have a designated place for creating a garden at your home, then a good way to do so is by using the balcony. 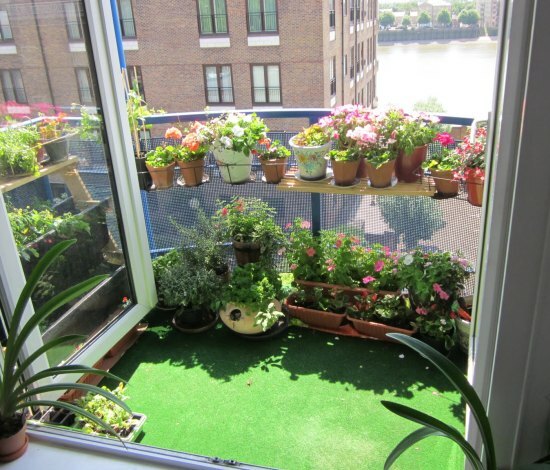 The balcony can be a superb place for a little garden of your own and is also a practical choice considering the exposure to sunlight, easy access and enough room for growing a few plants. 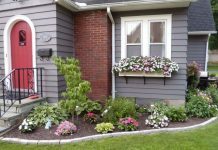 Balcony gardens can look very cute but you can further improve their look by decoration. The following are some of the most effective tips for decorating a balcony garden. To highlight the garden at the nighttime and to make it look more appealing and welcoming, you can add a string of lights. You can use the lights on the metal railing of the balcony or put the string of small LEDs over the plants. This creates a nice and festive atmosphere. Choose either single colored lights or multi colored. You can also hang some lamps or globe lights from the ceiling. 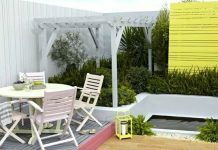 There are many cute and creative garden accessories available in the market these days and these accessories can totally lighten up the balcony garden. Bring in colorful water sprinklers, containers, tool boxes and other accessories to give the garden a better look. Besides the garden, the balcony is also a place to rest, relax and unwind after a busy and tiring day. By placing a comfortable and cozy chair in your balcony, you can spend some quality time with your plants and flowers. 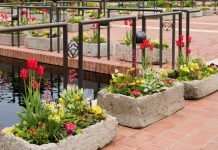 To make your balcony garden even more appealing, you can grow some colorful flowers or decorative plants. 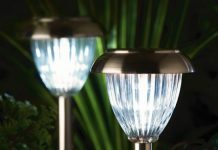 These will lift the look and feel of the garden and will make it a unique space in your house. Decorative plants can be brought from the nursery and ad a beautiful touch to the balcony. Place some small or miniature showpieces made out of clay in the balcony garden to further decorate it and make it a welcoming space not just for you but for your guests as well. 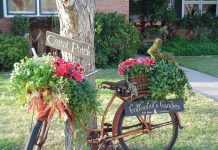 Such showpieces too are available nurseries and are usually cheap and inexpensive. 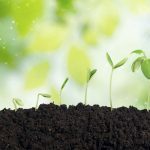 By growing vegetables, you can have the most wonderful pieces of attractions in your balcony garden, if the balcony is small; try growing smaller vegetables or only one variety of vegetables.